Branch2, a new company working to create software that will link various parts of the healthcare system, has just been recently launched by Blue Tree Network Co-Founder Reggie Luedtke. His secondÂ healthcare IT startup, Leudtke hopes to useÂ Branch2 to convince healthcare providers to share more data, and break down bureaucratic divisions across the industry. Using software to connect different entities within the healthcare system will make it easier for hospitals, clinics, and health insurance companies to share data, while still adhering to regulations like HIPAA. Branch2 currently has 2 full-time and 14 part-time staff and plans to increase hiring after securing investment. Branch2 is also partnering with Madison software companiesÂ MIOsoftÂ andÂ Hardin Design & DevelopmentÂ to perform application development and data analysis. More information on Branch2 here. 100health, aÂ new company housed in the current Madison co-working space 100state, is working to put Madison on the map as aÂ leading hub for healthcare and healthtech startups. Part think tank and part startup incubator, 100healthÂ will work with healthcare providers, insurers, and other organizations to try to identify problems that could be solved using technology tools. Â 100health will then help to create startups that will build software to address these problems. Â TheÂ startups will receive office space at 100state, as well as some funds to cover operating costs, and connections to a network of business mentors and investors. Founded by former Epic employees Niko Skievaski, James Lloyd, and Luke Bonney, 100health’s portfolio contains such companies as Patient Proxy,Â Inc.Well, andÂ ICD-10 Illustrated. In addition, they are aimingÂ to hire about five to ten staff and recruit about 100 entrepreneurs by the end of the year. More in-depth information on 100health’s launchÂ here. 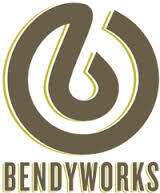 Brad Grzesiak, co-founder and CEO of Bendyworks, was featured in an article in the Wisconsin State Journal last Sunday. Grzesiak, who originally worked designing products to be launched into space, is now working toÂ create software programs designed to meet companies specific needs through Bendyworks, which he co-founded in 2009. Grzesiak is also very involved in Madisonâ€™s tech scene as an early member of Capital Entrepreneurs and aÂ chair ofÂ Madisonium, a group working to raise Madisonâ€™s visibility as a tech/Internet hub. And recently, Grzesiak was named to the city of Madisonâ€™s Digital Technology Committee. Full story, including a Q&A segment with GrzesiakÂ here. Reddit co-founder Alexis Ohanian will be featured at an upcoming Wisconsin Union Directorate Distinguished Lecture Series event on Thursday, February 20th, starting at 7:30 pm.Â Alexis is currently on a tour for his latest book,Â Without Their Permission,Â which aims to promote Internet startups and entrepreneurial environment among students and the community. The event will also feature UW-Madison alumnus Nilay Patel, who is currently the managing editor of the Verge.Â This event is free and open to the public, however, seats are first come first serve. There will also be a book signing and reception after the event. More info about the event can be found here. Greater Madisonâ€™s most promising early-stage companies will have the chance to promote their work, connect with investors and potentially join an exclusive delegation of Madison-area startups in meetings with global venture investment firms, all as part of a new business pitch contest called Pressure Chamber. The live competition will be held in conjunction with the Greater Madison Chamber of Commerce neXXpo: Business in Fast Forward on April 8 at the Alliant Energy Center. The winner of the Pressure Chamber will join a delegation of top Greater Madison startups in a series of meetings with prominent venture capital firms in Silicon Valley, organized by the Chamber and supporting partner organizations. The application period for interested startups is now open. For more information and to apply, go here. The Pressure Chamber is presented by Michael Best & Friedrich with support from the State of Wisconsin Investment Board, Accelerate Madison, Capital Entrepreneurs, Kegonsa Capital Partners and Venture Investors. SnowShoe has just launched a newly designed websiteÂ and demo,Â and they need help from Madison’s developer and hacker community! SnowShoe wants you to go to their site and order a free developer kit. Once you receive the kit, SnowShoe would like to schedule a Google Hangout with you as your build your first test application on their site, which should take no longer than 30 minutes. In return, they will send you some free SnowShoe swag and an Amazon gift card. If interested in helping SnowShoe please contact Jami at jami@snow.sh and order your free developer kit here. 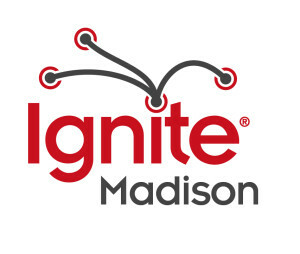 Ignite Madison is back! Join your fellow Madisonians forÂ Ignite MadisonÂ on Wednesday, February 12th at 8pm at the High Noon Saloon to learn about people who are using their creative talents in unique ways to make or engineer itemsÂ by hand. Ten speakers will each give 5 minute presentations using slides that auto-advance every 15 seconds, covering such things as makingÂ artisanal foods, 3D printing or prototyping, screen printing, metal working, illustration, and more. Join Capital Entrepreneurs on a (coach) bus trip to Milwaukee on Wednesday, February 12th to spend an evening learning aboutÂ Techstarsâ€™ ChicagoÂ program, presented by Startup Milwaukee and Golden Angels Investors. This free event will feature prominent entrepreneurs Sam Yagan (CEO of match.com and co-founder of OkCupid) and Troy Henikoff (co-founder of Techstars Chicago and SurePayroll). Also sharing their experiences, will be the co-founders of a startup that recently participated in a Techstars accelerator program. This is the last call to sign up for the free bus trip to Milwaukee; don’t miss out on this exciting event. For more information and to reserve your seat, goÂ here. Ratebeer.com has named local crowdsourced breweryÂ MobCraft the 2013 Best New Wisconsin Brewer.Â Launched in May 2013, MobCraft is a brewery that uses customer collaboration to come up with a multitude of unique beer ideas. Customers can both submit ideas for brews to be created, as well as vote on which brews will be mass produced. Some of the interesting beers being brewed by Mobcraft include a Mayan Chocolate Chili ale with ghost chilies and cacao, and a Hazelnut Amber made with locally sourced hazelnuts. MobCraft was also recently featured in an article in the Milwaukee Journal Sentinel – check out the article here. Whether you’re an expert on digital currency, or just want to learn more about it, the Crypto Currency Hackathon being held on February 15th at Madworks CoworkingÂ is worth checking out. The event will follow a similar format as aÂ Startup Weekend, but instead of focusing on jump-starting a business, the goal of this 12-hour event will be to create and complete a tech project. 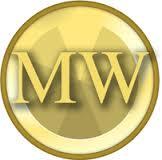 The entry fee for this event is $5 and the winner will receive one bitcoin, which is currently valued at about $850. For those who are simply interested in learning more about cryotocurrency, there will also an ‘unconference’ running in parallel to the main hackathon event, which will include talks, discussions, and demos to explain more about what cryprocurrency is and how it works. For more info and to sign up go here. Join Capital Entrepreneurs and 40+ Madison startups for the 2014 Madison Startup Fair TODAY (February 5th) from Noon-4pm at the Wisconsin Institutes for Discovery on the UW campus. Anyone interested in technology and entrepreneurship can talk one-on-one in an informal environment with startup founders and employees about their experiences. Find out more about the burgeoning Madison startup scene and the opportunities startups have to offer, including ways you can get involved by starting your own company or through internships and full-time positions with existing startups. UW-Madison has just launched a brand new advocacy group to help foster innovation and entrepreneurship on campus. The group, called The Advocacy Consortium for Entrepreneurs (ACE), will provide entrepreneurs with several tools to help them succeed. Led by Tomotherapy founder Rock Mackie, ACE will be established as an independent, nonprofit organization that can advocate for policies that support entrepreneurial development. Check out more info about ACEÂ here.